Subtle presence but powerful longevity, that's the status that the rose gold watch for women has achieved. There is a certain elegance to this metal that makes it an excellent material for an understated yet classic look. And with watches, it has the appeal of such intense style that it has become a phenomenon. Only those with discerning taste will choose a rose gold womens watch. 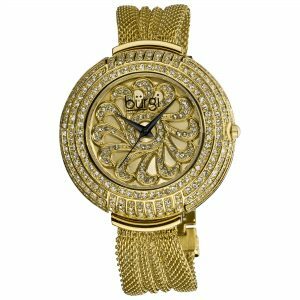 Some women will wear watches encrusted with diamonds, sapphires, and other gems in yellow or white gold, but only women who dare to stand out will wear this unique metal alloy. Here are some reasons why this watch spells the difference between great and awesome for the woman who wear it. It doesn't matter if the watch has a rugged design, this kind of watch has a feminine warmth, from its face to its strap as only rose gold womens watches can infuse timepieces with a kind of sweetness underneath the durability of stainless steel or the flexibility of rubber watches. When you add copper to pure gold and mix them together, you get a pinkish kind of gold and how “rosy” it looks depends on how much copper was added to make pure gold a pink-red color. Additionally, its longevity has made this material a challenging choice for watch makers to work on. 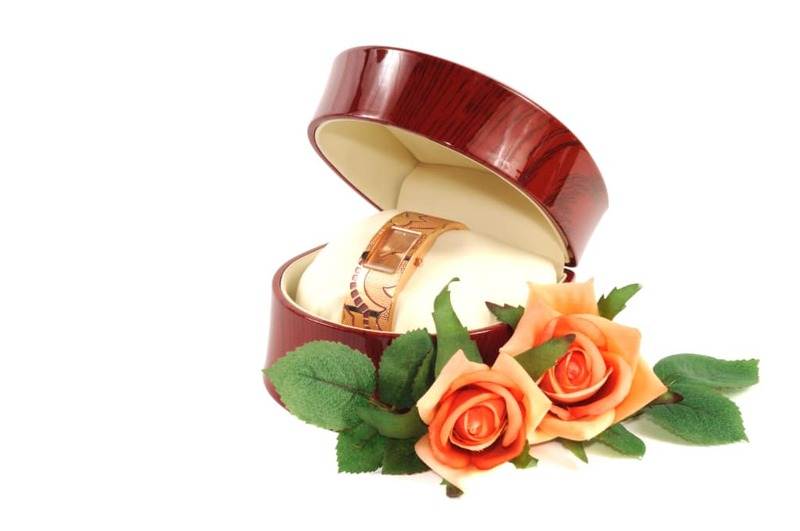 Notwithstanding the numerous beautiful time pieces made of other kinds of gold and the common preference for white or yellow gold and platinum, this rosey colored gold metal when crafted meticulously, is as attractive at it is uncommon in its appeal. Shinola watches, for instance, which have been designed with a modern edge, become more than just a time piece but an excellent accessory. 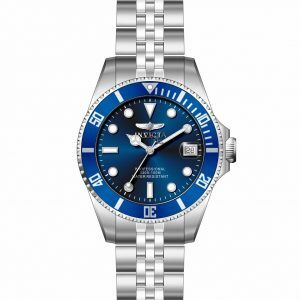 When buying a watch with this kind of metal it is not merely about purchasing an eye-catching time piece, you are actually investing in something that will never go out of style. Too many trends in watches have come and gone in materials, including the fancier brands designed by well-known fashion designers, but a watch like this has retained its timeless elegance through it all. 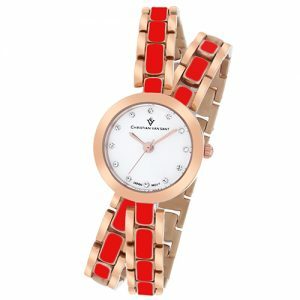 You may not see these watches everyday, but when outfits are worn with a rose gold watch women usually don't need any other accessory except perhaps a pair of stud earrings or a bold statement necklace because of the head-turning effect that rose gold watches have. This kind of gold has also become increasingly popular for wedding band material for young and hip brides. They come in as many styles as you can think of. 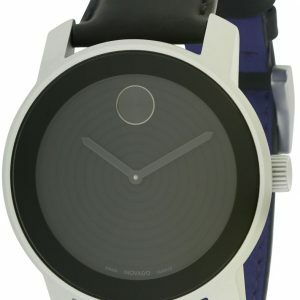 There are classic, traditional, romantic, modern, and futuristic designs of these watches that come as minimalist or with additional features such as diamonds. They may not be as ubiquitous as their white or yellow gold siblings but they can be as subtle or flamboyant when it comes to their design. Thickness of the case is 10mm. Water resistance is up to a hundred meters. Baguette stones are set in its bezel. Diameter of the case is 42mm. Water resistance is up to 33 feet. Case is made of stainless steel material. Dial window is made of mineral crystal. Designed as a chronograph watch. Window is made of hardened mineral. Water resistance is up to ten meters. Window has a dial made of mineral crystal. Thickness of the case is 5mm. Band is made of mesh. Water resistance is up to 99 feet. The white-colored dial has a detail of bright crystals on it. Water resistance is up to 30 meters. Water resistance is up to 165 feet. Designed with dual tones of rose gold and silver. Water resistance is up to 330 feet. Window has a dial made of scratch-resistant material. Designed with dual tones of rose gold and gunmental. With genuine pink leather strap. Dial is made of mother-of-pearl. With tiny accents in rose gold. The sunray-designed dial is encased in rose gold. Has a white leather strap. With diamond accents on its dial's face. Any of the watches on this list will be an excellent addition to a woman's wardrobe. The price range for this kind of watch is anywhere between $100 and $10,000 depending on its set of particular features and brand. 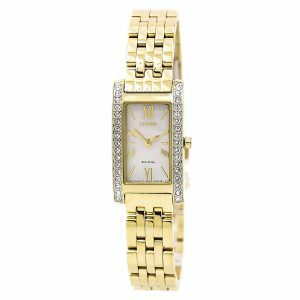 Reconciling your preference with your budget is not difficult to do with the wide array of womens rose gold watches available on the market today.